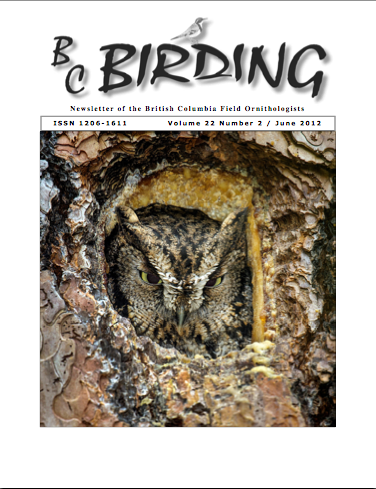 BC Birding – June 2012 issue here now! The latest issue of our newsletter is now available, posted to the BCFO Members area. You’ll need your password to read the copy online, or download and read it on your own computer. Click here for access to the BCFO Members area.